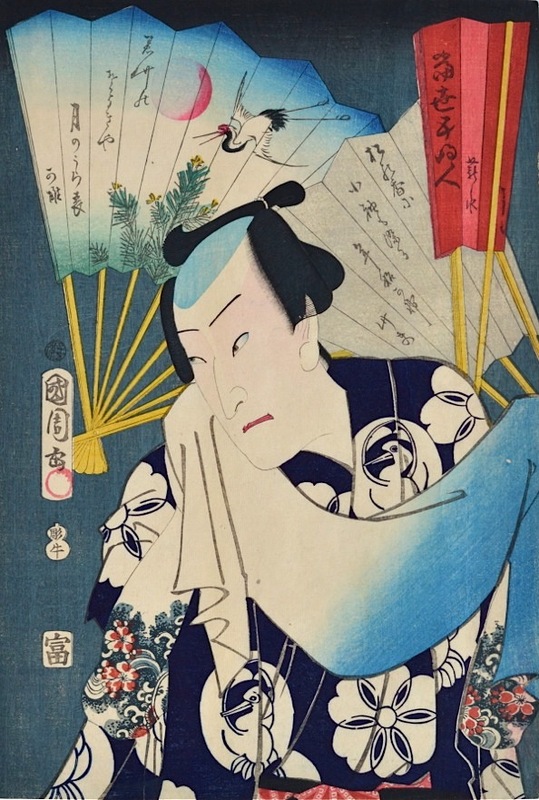 Toyohara Kunichika (1835-1900) Five Modern Bandits: Sawamura Shozan, 1865. Oban. 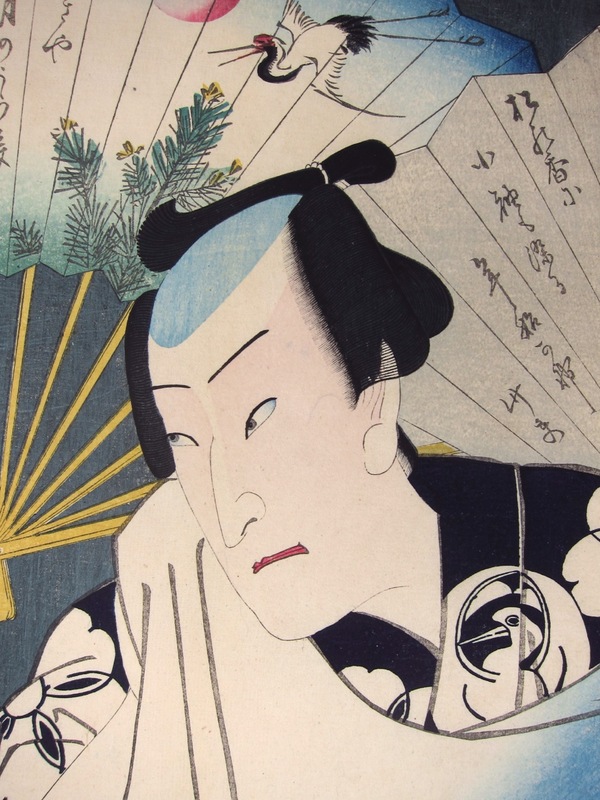 These early actor portraits of Kunichika’s are some of the great and underrated Japanese woodblock prints of the nineteenth century. On occasion, the quality of the printing and the deftness of his line are as outstanding as anything that his teacher Kunisada was able to do. This series is a case in point; there is real poetry in the arrangement of the figures, their relationship to the decorative fans and the softly graded colours. There is of course the poetic beauty of depicting scary bandits with tattooed arms against such delicate colours and motifs, as in this case, the heron taking flight. This was of course a thinly disguised portrayal of five of the leading kabuki actors of the day in imaginary bandit roles. The series has a relationship to other pentaptychs by Kunichika which illustrate the infamous Gang of Five, notably, The Gang of Five Coming Home Like Wild Ducks. The allusion here though I think is only playful. This is a very nice print, impression, colour and condition are all fine.